1.5.2 英語放送 スクリプト編: 京阪神私鉄 (京阪・南海) (時間の読み方・「まもなく」) - dutcheez’s Fun with English! Thank you for using the Keihan Railway. 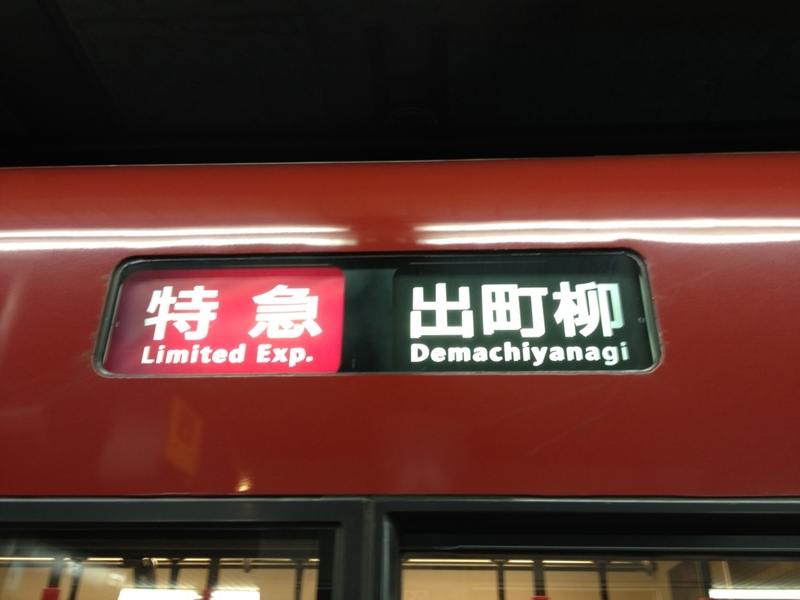 This is a limited express train bound for Yodoyabashi, leaving at 12:14. We will be stopping at: Sanjo, Gion Shijo, Shichijo, …, Temmabashi, and Kitahama stations before arriving at Yodoyabashi terminal. Thank you. The next station is Sanjo. Please change here for the Subway Tozai line; and for Lake Biwa, to the Keishin line. 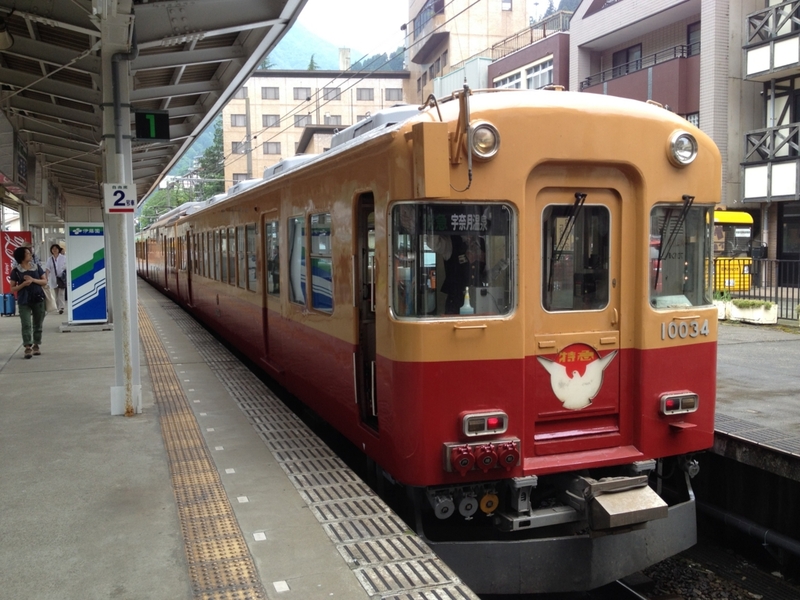 After Sanjo, this train stops at Gion Shijo. We will soon make a brief stop at Sanjo. In other areas, please set it to silent mode and refrain from talking on the phone. Please mind your step when you get off the train. Passengers may now use the pull-down seats near the doors. For Kuzuha mall, please get off at this station. Thank you for travelling with us. We will soon arrive at Yodoyabashi terminal. Please change here for Subway Midosuji line. Please make sure you have all your personal belongings. Thank you. 乗換案内は関西ではほとんどの場合が "Please change here for" を使用しているようです。みなさんなぜか 一律横を向いています。小田急のように「JRと違うことをしてやれ」という雰囲気が出ていません。関西人ってそんなおとなしかったっけ?? Ladies and gentlemen, thank you for taking the Nankai railway. This is the Southern Limited express bound for Wakayamako. Reserved seating is in the first four cars. We will be departing shortly. The next stop is Izumisano. We will soon be arriving at Izumisano. After Izumisano we will be stopping at Ozaki. Please be careful as the doors will open on both sides of the train.